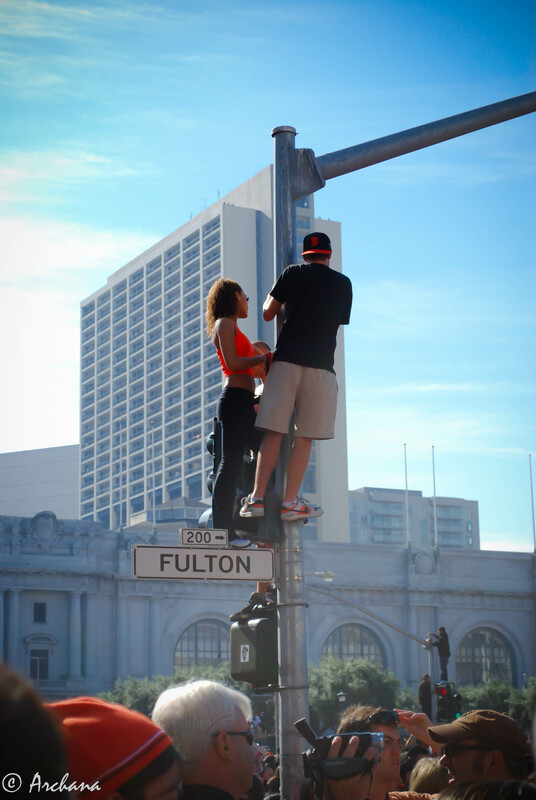 The first picture that struck me was this one.. fans trying to get a glimpse of their favorite team San Francisco Giants. I did my best to capture the players, but what really caught me was the fans cramming everywhere.. on the tree, buildings and in this case, the traffic signal pole. This picture is almost 2 years old when the San Francisco Giants won the World series in 2010. Check out other amazing pictures on this week’s theme : Unique. thank you for your pingback.